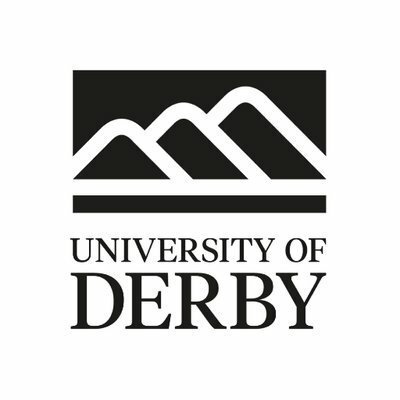 It’s finally here…the University of Derby Literature & Decolonisation Network. After months of planning, preparing and creating this brand new network, the launch event took place on Monday 4th June 2018 at the University of Derby. 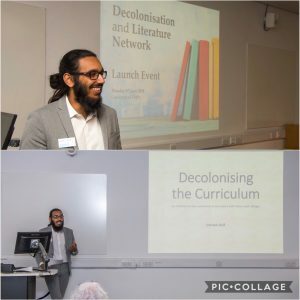 With decolonisation being a key agenda at many academic intuitions across the UK, this network is the first of its kind in the country. Formed by an English PhD student at the University of Derby, Kiran Singh, the group consists of six PhD students, an English graduate and myself, a student about to embark upon my third of year of Integrated Masters Degree in English. 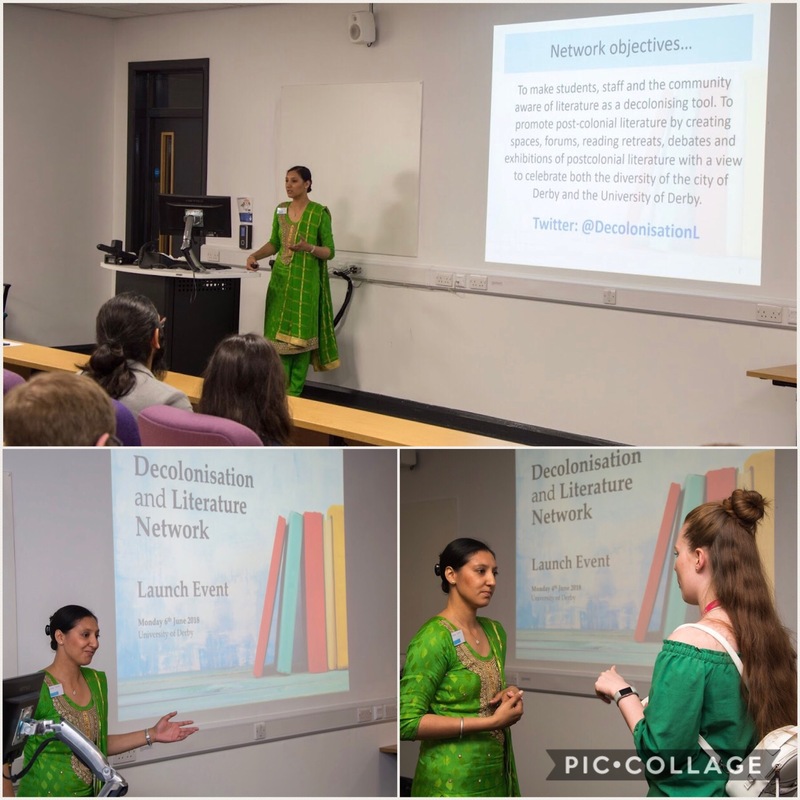 The main aim of the network is to explore the topic of Literature and decolonisation in an academic light and present our findings to the public. 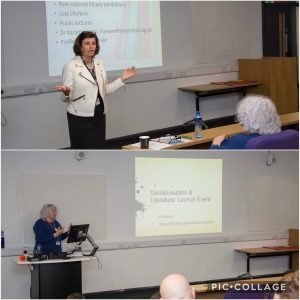 Organising and hosting public events for the community ranging from lectures to seminars to workshops, is one of our main aims. 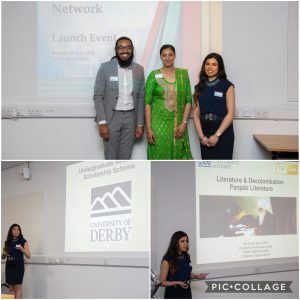 By creating a group which resonates, reflects and represents the diversity of Derby, we will be sharing our literary knowledge, expertise and skills with the wider public. The launch event was a great success showcasing the values, aims and plans that the network has. The event commenced with a speech by the founder, Kiran Singh, followed by the Vice Chancellor of the University of Derby, Kathryn Mitchell, who enabled the audience to obtain a deeper insight into the importance of decolonisation in Universities and the local community. Jo Bishton, Head of Diversity, Equality & Inclusion, also presented an engaging speech which was followed by Usman Asif’s presentation focusing on outreach work with local schools in order to offer the concept of Literature as a decolonising tool to secondary school students. I also delivered a speech about my role in the network. My presentation focused on the importance of studying Eastern literature academically, particularly Panjabi Literature, and touched upon the various academic endeavours that I have undertaken so far such as the Literature in Society Conference, International Sikh Conference and Undergraduate Research Scholarship Scheme. We are really looking forward to taking the literary field here at Derby even further over the upcoming academic year, especially due to social diversity, community integration and academic development. Make sure to follow @DecolonisationL on Twitter to keep up to date with our upcoming endeavors, events and projects. Please feel free to contact us if you have any questions about the network.